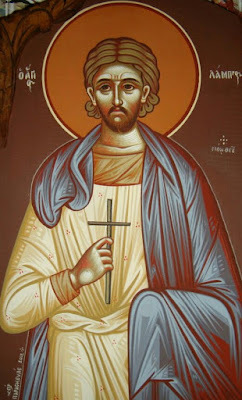 Saint Lampros was from the northern Aegean island of Samothrace, and was forced to apostatize from the Christian faith at a young age and he became a Muslim. When the opportunity arose, however, he rejected Islam and returned to his Orthodox Christian faith. 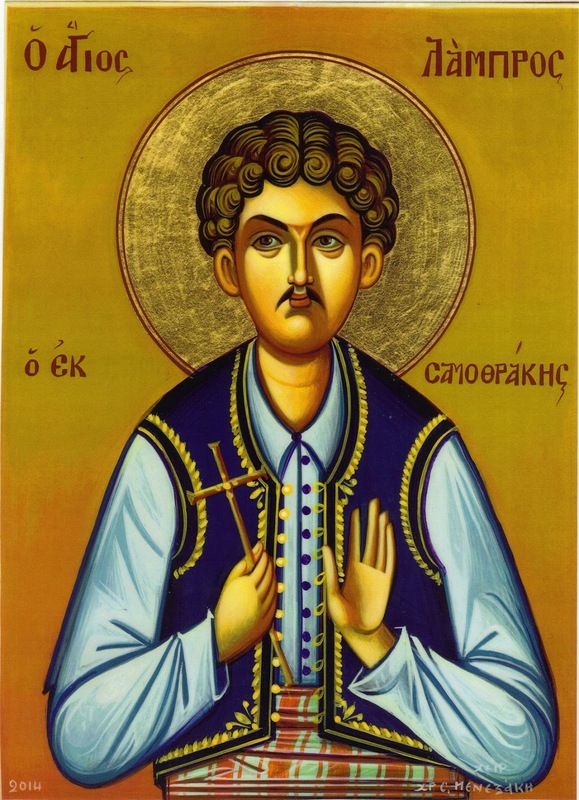 For this he was martyred for his faith on 2 July 1835 in the village of Makri in Alexandroupoli, across from Samothrace, and joined his fellow Neomartyrs from Samothrace (Manuel, Theodore, George, Michael and George) who were also forced to convert at a young age to Islam, and after returning to their Orthodox Christian faith they were martyred in Makri a few months earlier on April 6th. Honorable offspring of Samothrace, and the Neomartyr of Makri, you brilliantly received the crown of victory. And with the Five Athletes you came to know martyrdom, having cast away the faith of Hagar. Glorious Lampros, entreat Christ God on behalf of those who sing hymns to you, in all circumstances. Appearing today for the Orthodox, is the divine feast of the glorious Martyr Lampros, who entreats for us with boldness, let us honor him, entreating Christ.